April 29 - London 2012 have announced 1.4 million tickets for the Olympic football competition will go back on sale tomorrow morning at 11am on a first come, first served basis with Ticketmaster claiming they are confident there will be no issues or technical problems for people trying to purchase them via the official website. The tickets will be available at www.tickets.london2012.com or via telephone on 0844 847 2012 until 11pm on May 6. 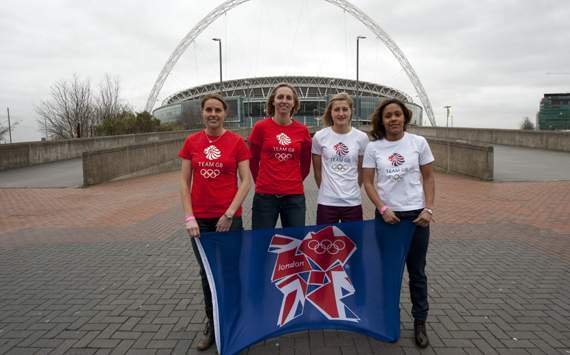 The Olympic football tournament will take place at six venues in cities across the UK. 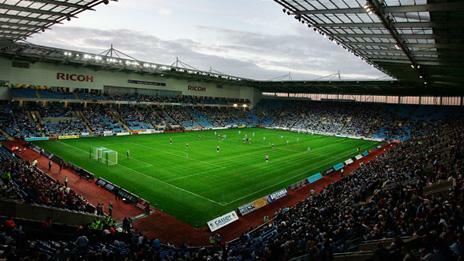 These are: Hampden Park in Glasgow, Old Trafford in Manchester, Millennium Stadium in Cardiff, St James' Park in Newcastle, City of Coventry Stadium (pictured above) and Wembley Stadium in London. Only five games for the Olympic football competition have sold out so far, the first of which is Team GB's group match with Uruguay at the Millennium Stadium on August 1. The men's quarter-final, men's semi-final and men's final at Wembley Stadium as well as the women's final at Wembley Stadium are the four other matches that have sold out. In total, around one million tickets have been sold for football but there are approximately 1.5 million still to sell. Exactly 1.4 million will be on sale over the next week with 100,000 to be held back as contingency, for sale in mid-May. Highlights of the draw include Team GB women's team (some of the squad pictured below) kicking off the tournament and the Olympic Games against New Zealand in Cardiff on July 25, with 40,000 tickets still available. Tickets start at £20 ($32/€24) for adults, with special prices available for people under-16 and over 60 at many matches. "Pay your age" prices are available for those under-16 and tickets for people aged 60 or over will be priced at £16 ($25/€19). Only Visa (debit, credit and prepaid cards) can be used to purchase tickets because of their position as a Worldwide Olympic Partner. Ticketing has been one of the most problematic areas for London 2012 so far. They faced a huge wave of criticism last year for a perceived lack of transparency in the first round of ticket sales after fans had money withdrawn from their bank accounts without knowing which events they would see. Further problems emerged in the second round when the London 2012 official website struggled to cope with overwhelming demand leaving thousands of disappointed fans unable to access it. Another embarrassment occurred again earlier this year, when 10,000 extra tickets were sold in error for the synchronised swimming sessions following a data foul up. But Chris Edmonds, the managing director of Ticketmaster UK, revealed that the ticketing systems and processes have been fully tested ahead of the upcoming sales and said that he is confident there will be no further problems. "We have been vigorously testing ahead of this latest round of ticket sales and we are confident that everything will run smoothly," he said today. "There have been problems in the past but it must be remembered that London 2012 has seen unprecedented demand for tickets and given that fact, we feel we have coped very well. "We have the capacity to sell 250,000 per hour so we feel we will be ready for the surge that we are expecting tomorrow morning." The football ticket sales come shortly ahead of the contingency ticket sales for the Olympics and Paralympics, with around one million Olympic tickets having been held back for blue ribbon sports including athletics, football and cycling. 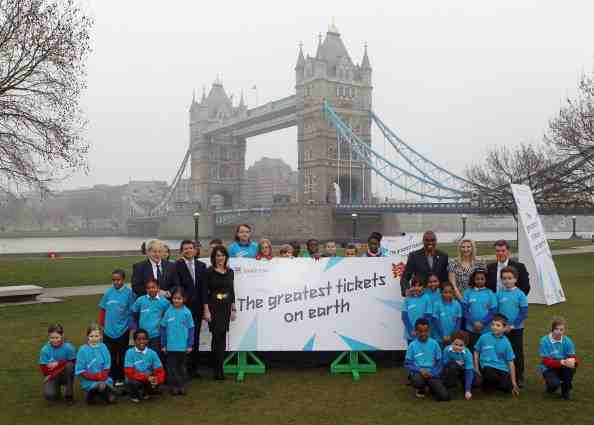 Those tickets will go on sale in mid-May with the exact date to be announced by London 2012 over the coming week. People who have bid for Olympic tickets in the past but have not yet received them will have an exclusive 24 hour window to purchase the one million contingency tickets ahead of those who already have tickets. But London 2012 have confirmed that buying football tickets during this upcoming sale starting will not impact eligibility for future ticket sales. This means that people will still be eligible for the 24 hour exclusive window if the football tickets they purchase in this sale are the first London 2012 tickets they have bought. Olympic football tickets will again go back on sale in mid-May as part of the one million contingency tickets. "Now that the draw has taken place, we are delighted to put remaining tickets on sale to see some of the world's most exciting young footballers in the Olympic Games," said London 2012 commercial director Chris Townsend. "This is a great opportunity for people across the UK to be part of the Games, and see great matches at great prices." London 2012 football tickets came off sale in February and the test events which took place throughout February enabled further work to take place on the seating bowl for cycling and swimming. In March, the seating bowls for all venues were assessed and where possible, contingency tickets were moved into the inventory for the May sale. Where venues have yet to be built, London 2012 will continue to hold contingency tickets to be released at a later date. The draw for the tournament took place last week. The full fixture and price list is available here.